A week of mixed results - some days fishing was excellent and others a lot harder. Black/green or white/green lures, Damsel, Bloodworm, Black Buzzer, and Hare’s Ear all working well. On milder or dull days, most fish are being caught 2 to 4 feet down. In colder conditions, it’s worth trying a little deeper at 6 feet. A great weekend saw Chatton hosting the Fritz 'n' Flies Final. The Individual Final was held on Saturday February 24. 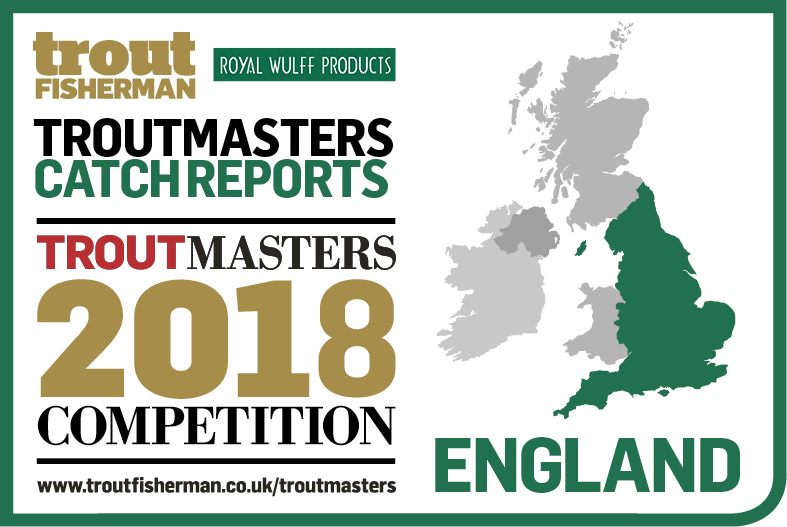 A cold south-easterly wind made conditions challenging for the competitors but still a good rod average of 3.6 and each fish caught was worth £20 to the angler. Top three anglers were James Carr and Ryan Matthews both winning £180 each and David Kay winning £160. The Pairs Final was held on Sunday February 25. Congratulations to the winners Robbie Bell and Trevor Wadds receiving £800, 2nd James Carr and Ross Nicols receiving £500, 3rd Jim Tuck and Rob Frame receiving £300, 4th Alec Harvey and Wullie Emery receiving £250, 5th Gareth Tilley and Alan Mcphail receiving £150 and 6th Peter Davison and Ali Tail receiving £100. Congratulations to Jim and Tracey Tuck on another fantastic competition. A huge thank you to my helpers over the weekend: Debbie Liddle, Kenny McMahon and Geoff Hobson. Lovely quality fish have been caught over the weekend - Robbie Bell returned a 14lb rainbow, Alec Harvey landed his first ever tiger trout, Connor Metcalfe caught a lovely brown trout, and Alan Robinson returned an approximate 9lb brown trout. The Fishery will be closing at 5.30pm and 5pm on Saturday. For the week February 19 – 25 the 127 anglers caught 677 fish of which 561 were returned. Freezing cold but the fish don’t mind with a 5.3 rod average. Not as many anglers although the fishing remains excellent from the bank. The cold wind saw anglers using intermediate lines score best by keeping their flies around 4 feet down. Although the usual early season flies continue to work there are now plenty coming to nymphs, especially Bloodworm and Hare’s Ear. Anglers have had to adapt to another cold week; however there have been some good returns when the weather proved more favourable. Good sport has been had on Buzzers with some anglers reporting ‘savage takes’. For some anglers various lures fished slow and deep worked very well, as have nymphs such as Diawl Bachs, PTN and Hare’s Ears fished on an intermediate line. Fish of the week goes to D. Johnson from Wallsend who landed a personal best at 14lb 1oz. H. Pringle returned 5 to Long Crag using various lures. Newbiggin angler John Metcalf released 4 fish to Long Crag using Buzzers and lures. S. Glover from Blyth landed 9 fish, having a ‘superb day’ using Bloodworms and Yellow Dancers. Colin Lisle safely returned 5 to Long Crag during his 4 hour session, catching on a Black Fritz. Bedlington angler Mick Brown landed 12 fish on Coe Crag, using a Screaming Viking Buzzer. J. Jervis from Alnwick safely released 5 fish using a Brown Buzzer. D. Parker from Wallsend returned 7 fish using various lures. Wallsend angler J. Drew safely returned 6 fish to Long Crag also using lures. Stephen Dixon from Blyth released 4 fish using Buzzers, Orange and Pink Fritz. D. Johnson from Wallsend landed 2 fish using Amber Bloodworms. One of his fish weighed in at 14lb 1oz, his personal best. Fly Box: Buzzers, Diawl Bachs, Dawson’s Olive, Yellow Dancers, Black Dancers, Bloodworms and Blobs. Long Crag Lake will be closed on Sunday March 11 for the Angling Trust TEFF Bank National Northern Eliminator. Coe Crag will be open as usual for other anglers.